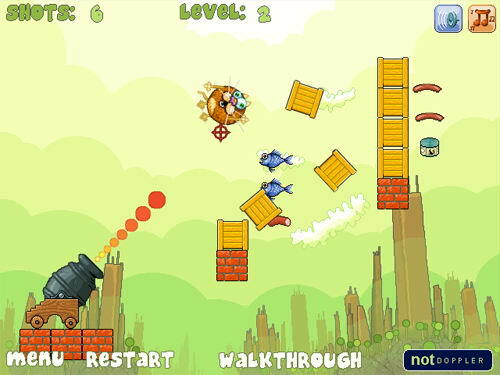 Description Launch funny hungry cats from your cannon so that they could eat all food on each level but be careful and avoid cactuses and other spiky obtacles. Try to shoot the least possible amount of cats during the whole game. Fun physics game. Well drawn and nice music.